This is the nightmare of many women in the world, I'm not a person who has the time in the morning to use concealer, I'd rather see me naturally but my dark circles aren't pretty and they are very difficult to remove and is a very long process. Mostly I opted for home remedies that are good but take too long to become effective so is time to try a few favorites from sephora, choose which one suit you better or maybe that one you would like to try. 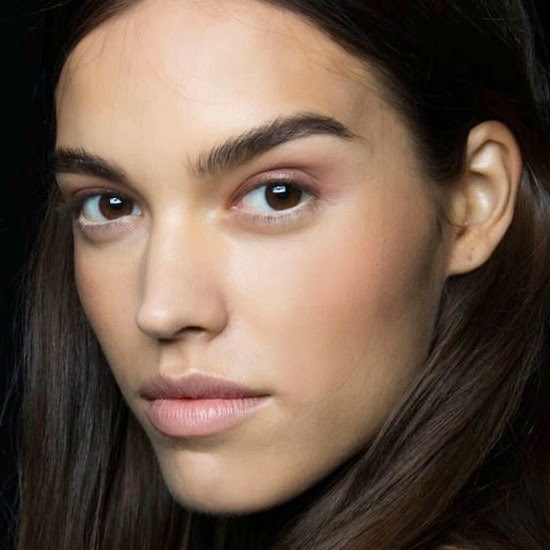 What it is: An oil-free, hydrating cream that visibly lightens dark undereye circles. What it is formulated to do: Look more rested with this oil-free cream that works to keep skin nourished while lightening dark undereye circles. The skin-strengthening ingredients make skin less transparent, while the cooling massage tip breaks up puffiness. Sheer optics create an instantly brighter look for all skintones from fair to deep, leaving skin healthy and younger-looking. What it is: A cooling formula that diminishes and prevents signs of aging while moisturizing and visibly firming the eye area. What it is formulated to do: Black Tea Age-Delay Eye Concentrate with noni fruit juice diminishes and prevents signs of aging while moisturizing and visibly firming the eye area. The cooling formula also works to reduce the appearance of dark circles and puffiness and illuminate and revive tired eyes. A proprietary complex proven to inhibit damaging free radicals and help improve elasticity is further optimized by antioxidant-rich noni fruit juice, known to retain and increase moisture, improving the appearance of the skin. What it is: A set of concentrated eye treatment sheets that instantly restore vibrancy and moisture to the eye area. What it is formulated to do: These eye masks work to dramatically reduce the appearance of wrinkles in the eye area in as little as 15 minutes. While brightening and minimizing dark circles, they plump the skin with hydration and refine texture for softer, smoother, healthier-looking skin. Pure Retinol Micro-Infusion technology penetrates skin instantly to smooth away the look of wrinkles. The mask conforms to skin to seal in essence and refine texture for 24-hour hydration. It also features Benefiance’s powerful WrinkleResist technology to prevent new wrinkle formation and help treat existing wrinkles. What it is: A line of natural fiber eye masks, each with a skin refreshing benefit. What it is formulated to do: Each of these masks is infused with a different active ingredient for relaxing the delicate skin around the eyes and achieving a brighter, more revitalized eye look. The fiber masks perfectly hug the small contours under the eye for better penetration of the active ingredients. What it is: An eye cream that treats all signs of aging around the delicate eye area. What it is formulated to do: Formulated with Peptide P-199, this concentrated treatment helps with dark circles, fine lines, wrinkles and puffiness, achieving a younger, more radiant appearance result. What it is: A trio of products for beautiful, youthful-looking eyes. What it is formulated to do: Discover beautiful, awakened eyes with this three-piece set, featuring Estée Lauder’s number one repair serum to fight all key signs of visible aging. The age-defying eye serum soothes delicate skin around the eye area and helps continuously repair the appearance of past damage caused by every major environmental assault. And the extreme black mascara delivers outrageous volume, lift, and curve for a false-lash effect. What it is: A coveted antiaging serum duo that creates youthful-looking radiance in as little as seven days. What it is formulated to do: Reveal more radiant, smoother skin and a 360 degree eye contour transformation for more luminous eyes. This innovative formula featuring GÉNIFIQUE’s powerful complex with added biotechnology-derived ingredient is incredible to the touch, and acts on 10 key visible signs of aging: texture, resiliency, elasticity, firmness, sagginess, fine lines, wrinkles, radiance, clarity, and skintone. Complete with an exclusive self-loading dropper that gives you the perfect dose of serum for each application, skin will feel refreshed, renewed, and healthy. What it is: An intense, maracuja fruit- and vitamin C-infused, multitasking eye-treatment that visibly hydrates, firms, and brightens the delicate eye-area. What it does: Refresh, renew, and recharge tired eyes. This skintuitive™ eye treatment contains rice bran, mango, and coconut, which are naturally rich in antioxidants and help fight signs of aging and free radical damage. Meanwhile, oat sugars instantly smooth and visibly tighten skin. The opthalmologist-tested nutrient-rich formula also delivers the ultimate in hydration for smooth, youthful-looking eyes. What it is: A soothing, non-irritating eye cream with multiple antiaging benefits. What it is formulated to do: Restore and renew the delicate eye area with this formula that includes philosophy’s high-performance retinoid—an ingredient that delivers all the benefits of retinoid with less potential for irritation. This eye cream supports natural surface cell turnover and natural collagen to dramatically improve the look of wrinkles and discoloration. The addition of peptides reduces the appearance of undereye bags and dark circles for a brighter, more ageless appearance. What it is: A clinically-proven eye cream that instantly de-puffs and reduces dark circles. What it is formulated to do: Late night? Long flight? Look tired all the time? This natural, clinically-proven morning-after eye cream instantly reduces dark circles. Unsightly bags and puffiness virtually disappear. And Origins' proprietary complex of caffeine from coffee bean, Panax ginseng, magnolia extract, and natural optic brighteners rapidly wakes up, refreshes, and restores radiance to tired eyes. Best for all skin types. What it is: A luxurious eye cream to visibly diminish dark circles for a brighter, more luminous appearance. What it is formulated to do: With a light-infusing complex including rosa roxburghii, white peony, ume, magnolia, and sheer optics, this powerful eye cream visibly improves undereye circles, diffuses puffiness, and strengthens fragile skin for a youthful look. Best for all skin types, it treats dark circles associated with sun damage, age, allergies, and fatigue. It corrects the symptoms and root cause of discoloration while firming the appearance of shadowy, sunken-in skin and enhancing luminosity. Eyes instantly look brighter, more radiant, and rested. I've heard great things about a lot of these products, they seem amazing! Great post! I have terrible problems with dark circles so I need to check one of this products. Muy interesante, voy a probar tus recomendaciones a ver como me va!